I couldnt get back to do some hunting but my cousins did and they did great. 12 and 14 were the best 2 of the season. Just filled my bow and rifle tag past weekend. Nothing big but meat in the freezer. 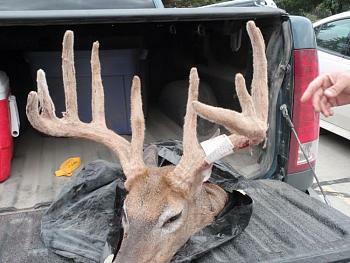 I shot a OK buck in rifle season and still on the hunt for the big one with the bow. I finally figured out how to post a picture!! The deer above was shot by a friend of mine opening week of bow season. 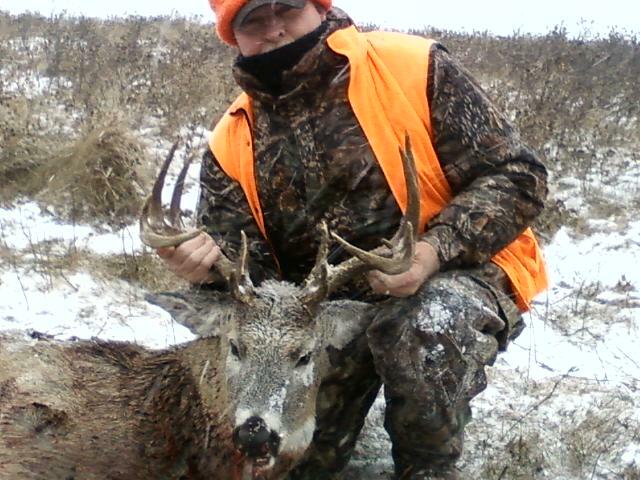 Here;s the one I got at the end of rifle season. last time I went deer hunting, my car didnt do so well...... I was driving along doing about 80 on a back road, young and dumb..... come around a curve and there it was. couldnt stop and totaled the car. I was ok, the deer was destroyed.